U.S. banks are easing credit standards in search of a safe and profitable middle ground after an era of reckless home lending gave way to the stiffest rules in decades, putting a damper on the housing recovery. Wells Fargo (WFC) & Co., the biggest U.S. home lender, two weeks ago cut its minimum credit score for borrowers of Fannie Mae-and Freddie Mac-backed loans to 620 from 660. The step followed moves by smaller lenders, such as the U.S. unit of Canada’s Toronto-Dominion Bank (TD), which lowered down payments to 3 percent without requiring mortgage insurance for some loans. Banks ratcheted up borrowing requirements after the most severe housing crash since the Great Depression, preventing as many as 1.2 million loans from being made in 2012, according to an Urban Institute paper. Lenders rode a wave of refinancing until a spike in borrowing costs last year gutted demand, forcing the biggest banks to cut more than 25,000 mortgage jobs. Now they’re removing barriers to mortgages for some borrowers in hopes of reviving a shrinking market. In March, credit standards were the loosest in at least two years, according to a Mortgage Bankers Association index. The measure, based on underwriting guidelines, rose to 114 from 100 when it started in 2012. The index would have been at about 800 in 2007, meaning credit was eight times looser that year, before standards were tightened. Home buyers with higher debt and lower FICO credit scores are now a growing minority among borrowers of loans backed by Fannie Mae and Freddie Mac, the government-owned mortgage giants. Almost 16 percent of the mortgages for home purchases in March went to borrowers with monthly debt obligations exceeding 43 percent of their pay, according to data compiled by Morgan Stanley. That’s up from 13.4 percent in mid-2012. Federal rules deployed in January expose lenders to liabilities if their mortgages without government backing require payments that, when combined with other debts, exceed 43 percent of the borrower’s income, without proof they can be repaid. More than 23 percent of the mortgages in March went to property buyers with credit scores less than 720, an above-average measure on Fair Isaac Corp.’s scale that ranges from 300 to 850. That’s an increase from 15.6 percent in mid-2012, according to Morgan Stanley. After housing values collapsed in 2008, banks raised their credit standards to the highest level in more than two decades. By 2011, the average credit score of an approved mortgage reached 750, according to mortgage processor Ellie Mae. Fannie Mae required only a score of 620 after raising its minimum from 580 in 2009. The banks boosted requirements partly to stem the costs of having to repurchase soured mortgages. As defaults soared, Fannie Mae and Freddie Mac used a clause in their purchase agreements that let them return loans to lenders if they went bad after faulty underwriting. In 2009, Fannie Mae asked lenders to buy back $12.4 billion of mortgages, according to a regulatory filing. The number soared to $23.8 billion in 2012, eating into banks’ earnings, before dropping to $18.5 billion last year, according to filings. Franklin Codel, head of production for San Francisco-based Wells Fargo, said clearer communication with Fannie Mae and Freddie Mac about underwriting rules is now allowing the bank to widen credit availability. “We have more confidence that should the loans go into default we’ve done our job properly and we aren’t going to get a repurchase,” Codel said. 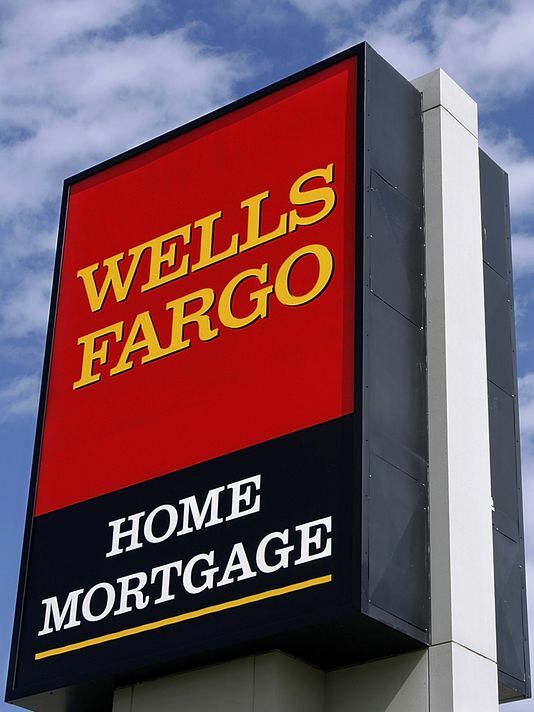 While Fannie Mae and Freddie Mac borrowers with lower credit scores must prove the ability to sustain homeownership, Wells Fargo will look for “compensating factors” to close the loan, Codel said. That may include requesting an explanation of a credit history event, reviewing the strength of income and the stability of employment, he said. Lenders are also relaxing requirements in response to a drop in demand for mortgages. In 2013, a surge in borrowing costs undercut the refinancing boom. Interest rates on 30-year fixed-rate mortgages rose from a record low of 3.31 percent in November 2012 to 4.58 percent in late August, according to Freddie Mac surveys. Rates fell last week to 4.33 percent. Home prices that have risen 28 percent since a 10-year low in 2012 have also stymied lending, particularly to first-time buyers. Cash purchases mostly by investors have filled the void, accounting for 33 percent of sales in March compared with 12 percent in mid-2009, according to the National Association of Realtors. In April, Mortgage Bankers Association Chief Economist Mike Fratantoni lowered his forecast for home-purchase loans in 2014 to $626 billion. That compares with $652 billion last year. He also reduced his forecast for total originations this year by $100 billion to $1.07 trillion. In 2013, lenders originated $1.76 trillion in mortgage credit. As mortgage volumes decline, lenders are suffering losses. Only 58 percent of independent mortgage banks and bank home-loan units were profitable in the final quarter of 2013, according to a Mortgage Bankers Association survey. JPMorgan Chase & Co. (JPM), the second-biggest U.S. mortgage lender, said in April that its origination business lost money last quarter and would again do so in the second period. To increase lending, Wells Fargo has made it easier for borrowers who would have limited equity to include gifts from relatives as part of a down payment, Codel said. In January, the bank began to accept borrowers with credit scores of 600, down from 640, for FHA loans. Wells Fargo also will increase its loan-to-value ratios, permitting larger mortgages relative to the worth of the property, in several states this month, Codel said, declining to provide more details. Raising maximum LTVs lowers the requirements for down payments or minimum home equity that must be maintained in refinances, measures meant to protect lenders or insurers in the case of defaults. Western Bancorp started offering mortgages with “alternative income verification” at the beginning of the year. So far, the loans are only available to borrowers putting down at least 35 percent, though the lender hopes to lower that to 30 percent soon, CEO Soukoulis said. The lender, which sells the mortgages to community banks, skips the examination of tax returns and pay stubs by using software to vet the income of a self-employed applicant. The technology turns information on their bank statements into data, and then analyzes what it says about their cash flow. The process boils down to “rational” old-school underwriting, Soukoulis said. The TD Bank unit, which mostly holds mortgages on its balance sheet, in April lowered the down-payment requirement for some loans to 3 percent from 5 percent. These mortgages don’t force borrowers to take out private or FHA insurance, a typical requirement for loans that account for more than 80 percent of a home’s value. The down payment can be covered by gifts from family, a government program or a nonprofit. There is “a reduced inventory of available and affordable homes for first-time and low-to-moderate income buyers, and this program increases the affordability of homeownership,” said Kathleen Toy, a TD Bank spokeswoman. Bank of the West, a San Francisco-based unit of BNP Paribas SA (BNP), is more often making exceptions to its guidelines for borrowers with credit dings caused by the recession that don’t accurately reflect their financial situations, Karen Mayfield, its mortgage banking national sales manager, said. The bank might accept a lower credit score caused by delinquencies after a job loss if a borrower has more than the typical minimum amount of required assets in their bank account, she said. To make the loans, the bank is using its portfolio and taking advantage of “extenuating circumstances” guidelines created by the FHA last year. “Whether it’s the private institutions or government-loan programs, we’re trying to do a better job of recognizing there were millions of people in this country that got bad marks in their credit that they wouldn’t have had, and shouldn’t have to pay life-long consequences,” Mayfield said. Yesterday, the Consumer Financial Protection Bureau proposed qualified mortgage rules that would allow lenders to fix small mistakes retroactively, such as refunding fees that exceed the 3 percent fee cap. That will encourage lenders to make loans even if the costs approach the qualified mortgage limits, the CFPB said in a statement. The proposed rules “will help at the margins” to ease the credit crunch, according to the statement. Lenders are not bringing back the types of loans made during the housing boom that required no deposits, no documentation of income and had rates that could double after two years. Some of the largest lenders aren’t scaling back standards. JPMorgan, Bank of America Corp., the third-largest mortgage lender, and No. 5 Citigroup Inc. haven’t changed lending standards this year, according to their spokesmen. Government-backed programs should be further modified to reduce lenders’ concerns about repurchases and encourage them to widen access to credit, said James Parrott, a former member of President Barack Obama’s National Economic Council and now a senior fellow at the Urban Institute.